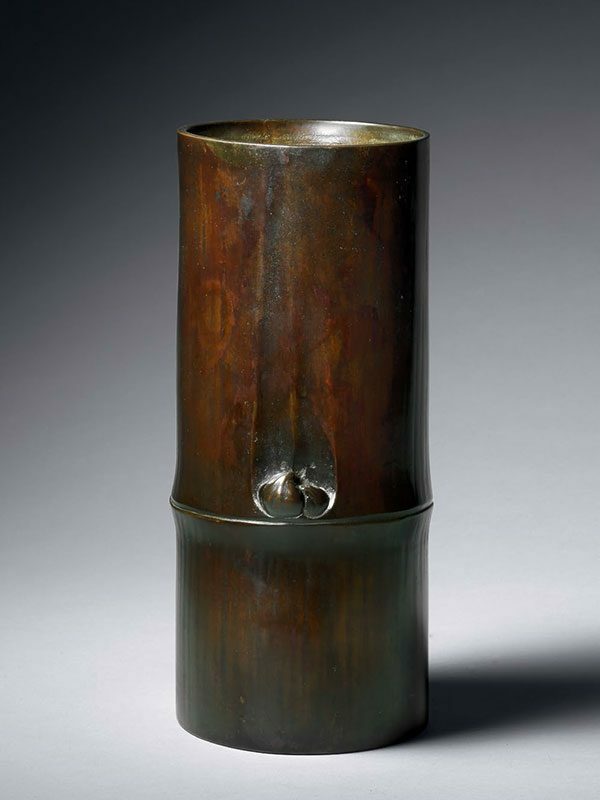 A bronze vase in the form of a length of bamboo, the ‘nodes’ naturalistically depicted. One side depicts two buds. The slightly recessed base is engraved with the three-character signature of Nagoshi Yagoro.